The twelve major types of ultrasound procedures described in other articles, make use of four kinds of available ultrasound image. The choice of which type of image to use depends on the goals for a particular test, the phenomena being investigated and what equipment is available. The most common and type of ultrasound picture is a series of flat, two-dimensional cross section images of the scanned tissue. 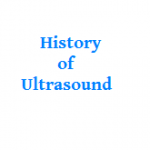 Referred to simply as 2d ultrasound, this mode of scanning is still standard for many diagnostic and obstetric situations after a half-century of use. In recent years, 2d ultrasound images have also been projected into three-dimensional representations. This is achieved by scanning tissue cross sections at many different angles and reconstructing the data received into a three-dimensional image. A common use for 3d ultrasound pictures is to provide a more complete and realistic image of a developing fetus. By updating 3d ultrasound images in rapid succession, sonographers can also create 4d ultrasound pictures. In the 4d ultrasound, the fourth dimension, time, adds movement and creates the most realistic representation of all. 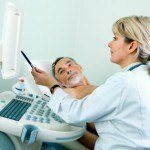 In some cases, 3d and 4d ultrasound pictures may reveal abnormalities not readily seen using 2d ultrasound. For expectant mothers and family members, the ability to see realistic images of an unborn baby in the uterus can be rewarding and heartwarming although the medical community in general cautions against performing ultrasound tests solely for this purpose. Evaluating blood flow as it moves through blood vessels is a common component of many of the types of ultrasound. While traditional 2d ultrasound and its three-dimensional offshoot show internal tissues and structures, a different kind of ultrasound is required to evaluate blood flow and pressure within a blood vessel. 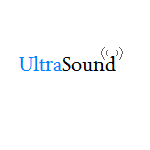 A Doppler ultrasound analysis bounces high-frequency sound waves off blood cells in motion and records changes in frequency of the sound waves as they echo back to the transducer probe. It then converts this data into a visual representation of how fast and in what direction blood is flowing. Doppler ultrasound is an indispensable diagnostic tool in all areas of ultrasound testing and is preferable in many cases to X-ray angiography because it does not require injecting the patient with contrasting dye. Three types of Doppler ultrasound are currently in use in addition to routine grayscale imaging. Of these, color Doppler uses a wide choice of colors to visualize blood flow measurements and embed them within a conventional 2d ultrasound of tissues and structures. This provides a more pronounced representation of blood flow speed and direction than is the case with traditional grayscale images. Power Doppler provides color imaging of more sensitive and detailed blood flow measurements than regular color Doppler does. It can sometimes even achieve images in situations not accessible with color Doppler. However, power Doppler is limited in another way because it cannot indicate the direction in which blood is flowing. Like conventional and color Doppler, spectral Doppler can scan to determine both blood flow and direction but displays this data in graphic form rather than with grayscale or color images. 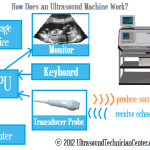 Does a technician creating ultrasound images earn well? Is an ultrasound job demanding?